WHEN GLUTEN FREE COMES IN A HEALTHY SNACK, I AM ALL FOR IT ! While I was in Venice for work last week, I usually rushed during the lunch hour and needed to grab something quickly to work for me as an energy filler. So I popped in the nearest organic shop that sells also gluten free foods and found these fantastic and delicious snacks from the Italian organic brand La Finestra sul Cielo. I was smitten! 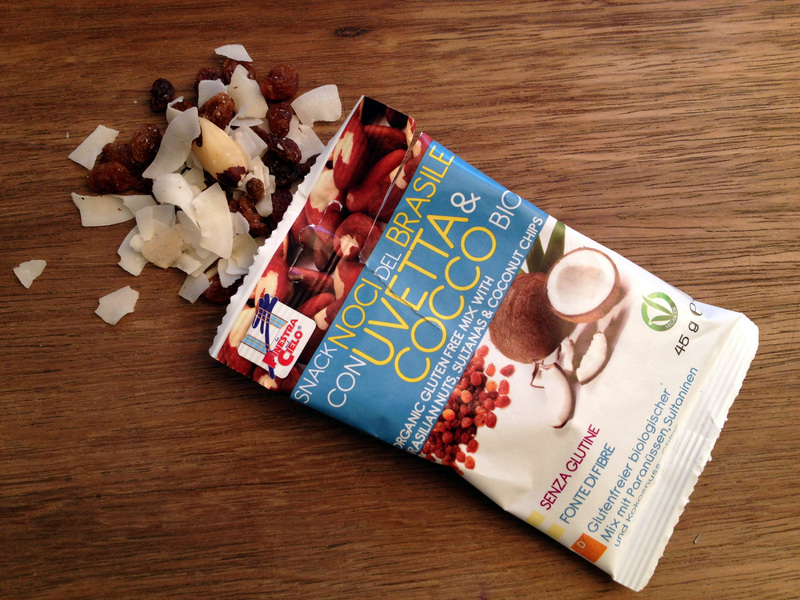 I tried the one with Brasilian nuts, sultanas and coconut chips, yum! 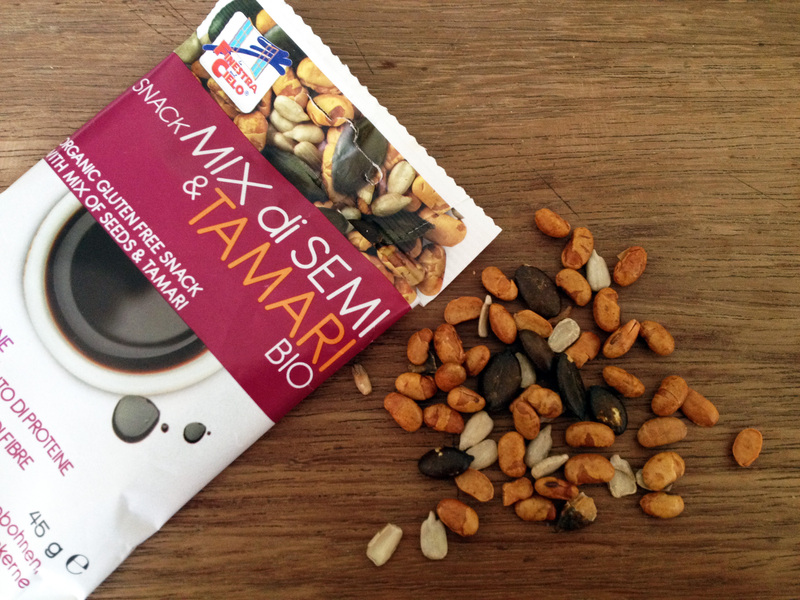 I kept in my bag a savory mix of seeds (soybeans, sunflower, pumpkin) and Tamari sauce. It was perfect when I stopped in the evening for an aperitivo and some friends. If you happen to be in Venice, here it is the address of the shop I went – besides the owner is super nice!